The Type-39 FastCat’s advanced electronic design, which accomodates the built-in dual heating system and simultaneous operation, reduces the bottle neck of “heater wait time” by 88%. With an individual heater cycle time of only 30 seconds (60mm Fiber Protection Sleeves) and a splice cycle of only 9 seconds, the FastCat improves splicing efficiency by 70%. The splicer utilizes High-resolution Direct Core Monitoring (HDCM) technology to form repeatable low-loss splice results. 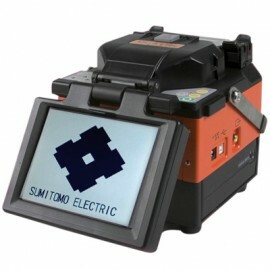 HDCM and Dual Heater technologies, combined with Sumitomo Electric’s track record for reliability and customer support, make the FastCat the industry’s new standard for fusion splicers.